This is not the finished cover. Someone else is kindly making me one. I know I am looking forward to the release of these. raise awareness about the true nature of the events that changed the world 9 years ago. what happened on the day has become more important than ever.... Join us in opening up the debate. Featuring: high profile speakers, documentary screenings, comedy, live performances, discussion, workshops. Why is the Obama administration hell-bent on continuing rendition, and covering-up torture? Why are Western states complicit in these illegal activities? How can the systematic perpetuation of such criminal practices under the rubric of the 'War on Terror' be conducted by the very states who claim to be the guardians of 'international law' and 'human rights'? The arrival of the Obama administration will not fundamentally alter the course of military expansion accelerated during the Bush era. The origins of these policies do not lie uniquely in neoconservative ideology. While the election of President Obama may offer new opportunities for progressive forces to delimit the damage, their space for movement will ultimately be constrained by deep-seated structural pressures that will attempt to exploit Obama to rehabilitate American imperial hegemony, rather than transform it. Indeed, the radicalization of Anglo-American political ideology represented by the rise of neoconservative principles and the militarization processes of the 'War on Terror', constituted a strategic response to global systemic crises supported by the American business classes. The same classes, recognizing the extent to which the Bush era has discredited this response, have rallied around Obama. Therefore, as global crises intensify, this militarization response is likely to undergo further radicalization, rather than a meaningful change in course. The key differences will be in language and method, not substance. It came to my attention that a senior correspondent, Kristin Aalen, working for a national Norwegian broadsheet - Stavanger Aftenbladet (Stavanger Evening News) - just recently printed a detailed article in the newspaper on Western covert operations sponsoring al-Qaeda after the Cold War... based almost entirely on my research in The War on Truth: 9/11, Disinformation and the Anatomy of Terrorism. Entitled "Terrorists Working for Western Countries" (24.11.08), it even gives a country-by-country summary breakdown complete with a handy geopolitical world map of the wide arc of these operations. It's a very useful piece from a mainstream national European paper that very effectively summarises the thrust of my research into this unpalatable subject. A shame that the British press is so reticient about such issues. An interview I conducted with Nafeez Mosaddeq Ahmed where he discusses the need for an independent public enquiry into 7/7 bombings in London , the failings of the 9/11 commission, deep links between supposed terrorist masterminds and the inteligence services and the nature of the term Conspiracy theory. Nafeez Ahmed's books on 9/11 are fine examples of scholarship that deconstruct the official story of 9/11. His first book, "The War on Freedom: How & Why America was Attacked, September 11, 2001", convinced me personally that 9/11 was in reality not the event that was delivered to us by the U.S. and Western corporate press, fed by Western intelligence agencies. "The War on Freedom" won praise from Gore Vidal, among others. It was published in 2002, and ranks among the first serious deconstructions of the "War on Terror". In 2005, Ahmed followed up with "The War on Truth", which continued his fine analysis of the propaganda and disinformation that goes hand in hand with the "War on Terror" and delineates an unbroken series of relationships between "al Qaeda" and Western intelligence, primarily, the CIA and the DIA, that continued after the end of the Cold War, and even after the bombing of US assets in the late 1990s. In this C-SPAN BookTV segment from 2005, Ahmed talks about his research in "The War on Truth" and is 50 minutes of time very well spent. See also: Ties With Terror: The Continuity of Western-Al-Qaeda Relations in the Post-Cold War Period and Creating Terror. In the wake of Philip Shenon's best-seller, "The Commission", comes another wave of Americans snapping out of a media-induced trance. On another front, to a different audience, Willie Nelson is waking up another sector of the sleepwalking masses with his skepticism. Whatever route you took that made you take a second look at 9/11, welcome... and, you've got some catching up to do. The briefing was held on July 22nd, 2005, subsequently broadcast by C-SPAN, and studiously ignored by the corporate press. A comprehensive collation of the briefing has not been made available online, but thanks to the magic of YouTube, I have chopped the most pertinent testimonies from that day into neat 10 minute segments that are easily digestible for the busy internet surfer. 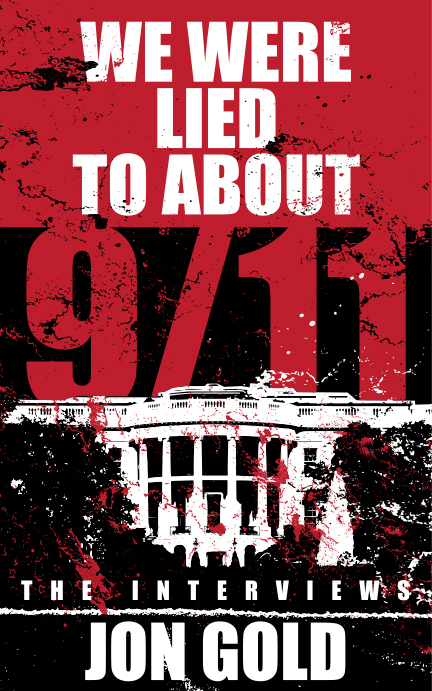 You may have seen some of the footage from the briefing in the documentary, "Press for Truth", where Lorie Van Auken talked about her husband's fate on 9/11. Beyond that, not much of this footage has been circulating on the net. 1979 - The Birth Year of "International Terrorism"
1979 was definitely pivotal for the United States, as the CIA convinced President Jimmy Carter to sign off on covert operations in Afghanistan, before the Soviet invasion, that would ultimately produce "al Qaeda". (2) Research that dates back to 1982 reveals that at the same time that the CIA was incubating the nascent 'Arab Foreign Legion' in Afghanistan, in Israel, some familiar names were busily framing the concept of "International Terrorism" at the 'Jerusalem Conference on International Terrorism'. A paper by a student named Phillip Paul titled, “International Terrorism”: The Propaganda War, (available at the San Francisco State University Library for review), has been cited separately by independent researcher Diana Ralph as well as Ahmed.